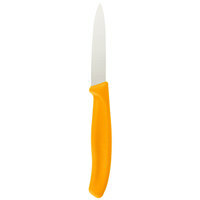 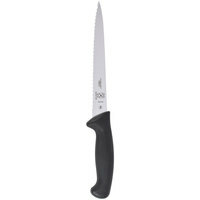 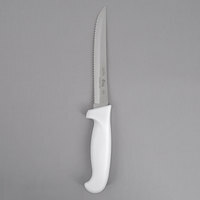 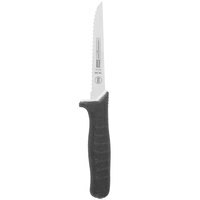 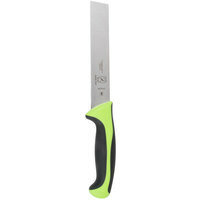 A utility knife generally features a scalloped edge, which helps make a cleaner and more thorough cut through products with a tough outer crust or skin. Use a kitchen utility knife to cleanly slice tomatoes, grapes, and squash. 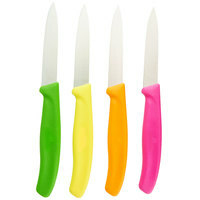 These knives are also great for cutting crusty loaves of bread, halving citrus fruits, cutting large melon rings, and wedging heads of lettuce. 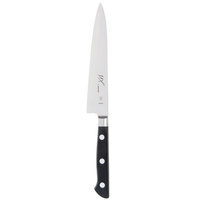 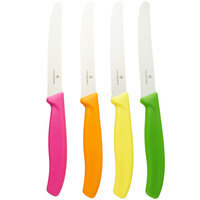 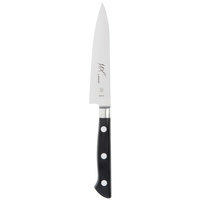 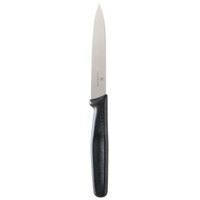 Also make sure to check out other great items from Choice, Mercer Culinary, VacMaster, Dexter-Russell and Victorinox. 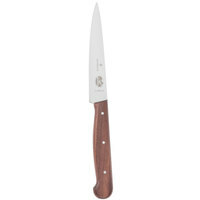 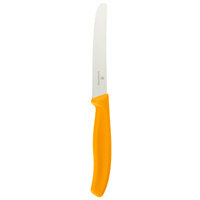 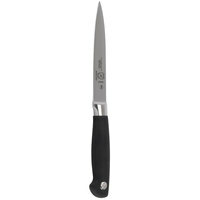 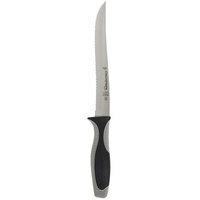 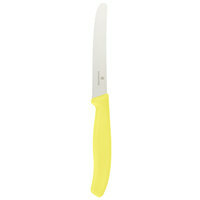 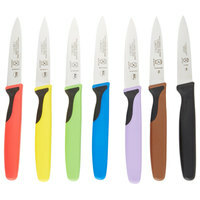 A utility knife is perfect for your day-to-day cutlery tasks. 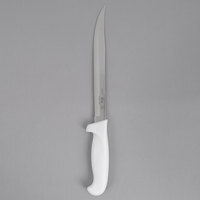 Choose from options with various handle materials, including traditional wood, non-slip grips, and smooth plastic. 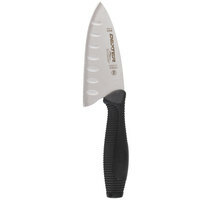 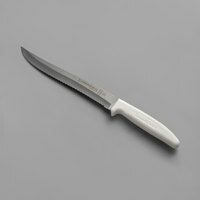 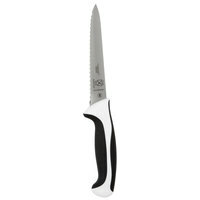 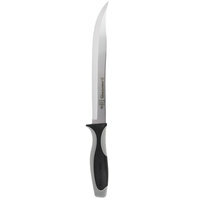 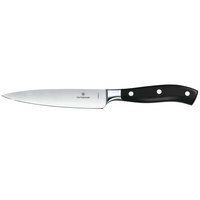 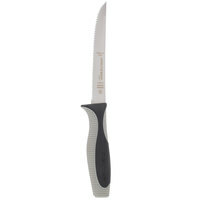 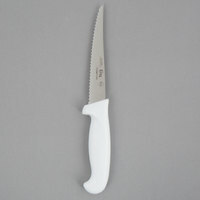 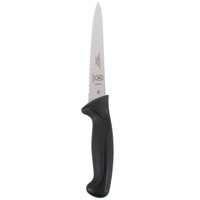 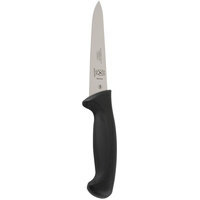 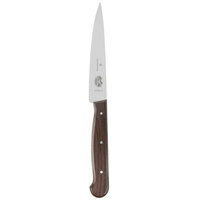 You’ll also find options with granton edge styles that have air pockets to prevent product from sticking to the blade. 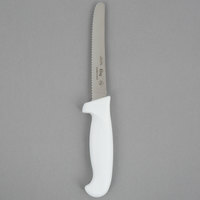 To complete your prep station setup, check out our cutting boards, cut resistant gloves, and knife blade covers. 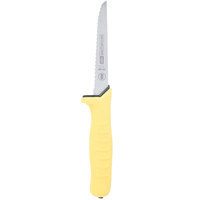 If you're wondering where to buy utility knives, we have a large selection of utility knives for sale at the lowest prices.